New Smyths Toys and B&M now open for trade. New Aldi under construction opening 2017. New all ways junction and S278 works completed. Consent granted for new estate signage with prominent tenant’s signage zones. 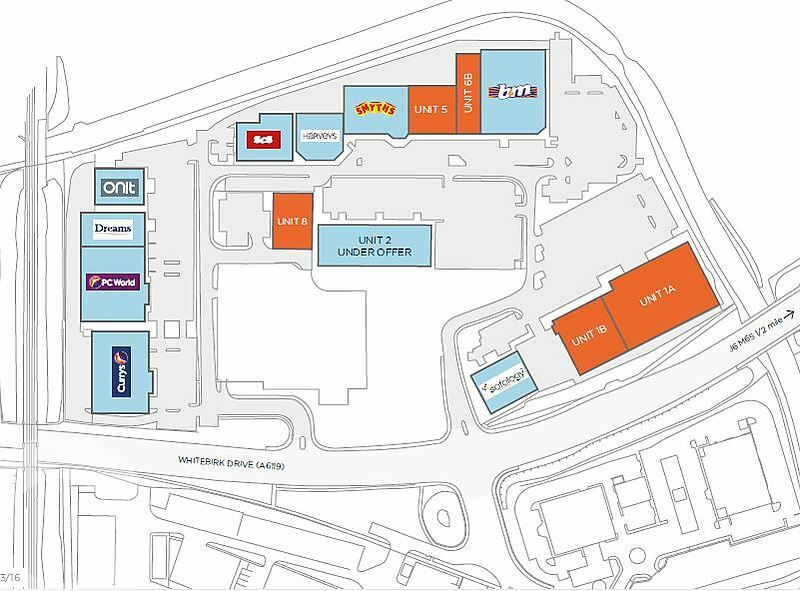 The Peel Centre at Hyndburn is a retail park which is ideally situated on the A6119 Whitebirk Drive, adjacent to Junction 6 of the M65 motorway and just 5 minutes’ drive from Blackburn town centre. The parks catchment contains approximately 740,000 people. Annual comparison goods market potential of £1.3 Billion. 10 minute drive time population 192,232. 20 minute drive time population 584,551.